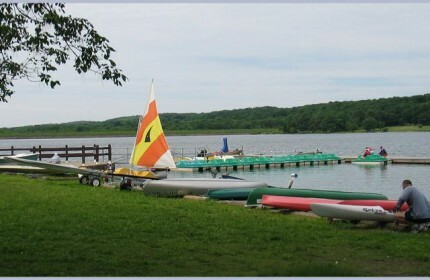 Peace Valley offers 14 miles of nature trails in the woods and meadows at the eastern end of Lake Galena. The walking options vary from groomed foot paths near the Nature Center Solar Building to remote hiking trails in the mature woods. The foot paths are generally mowed or graveled and provided with bridges or stone steps at creek crossings. The Hike and Bike Path is a blacktop trail continuing around the lake on Creek Road and New Galena Road. Peace Valley Nature Center provides environmental education programs for families, adults, school groups of all ages, birthday parties, and more.